This recipe is from Stephanie Fitness, click to see the original link 🙂 Instead of retyping everything she has already written, I just cut and pasted (and added a few things)! 4. 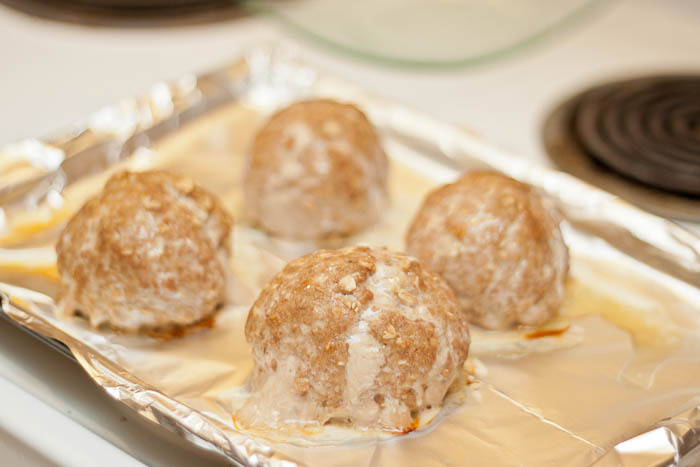 Place meatballs into muffin tin (I just placed them on a baking sheet). Pour a small amount of water into remaining cups so that the pan will cook evenly and you won’t ruin your muffin tin. Bake at 350 for 45 to 50 minutes. Enjoy warm!